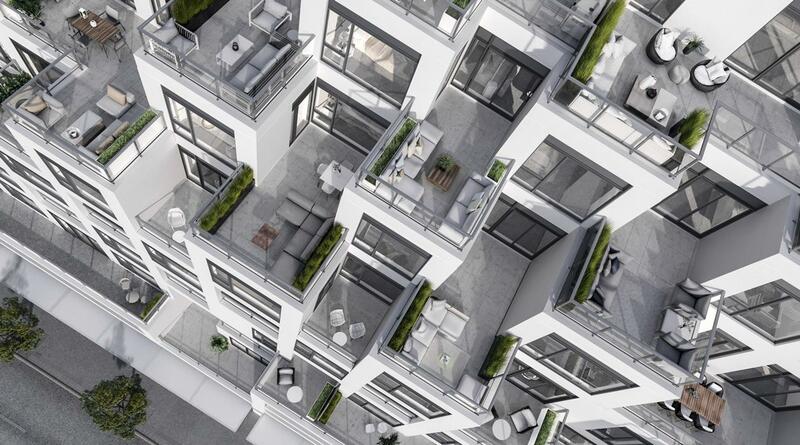 Marvel at the 15 storey cascading desgin with masonry craftsmanship. 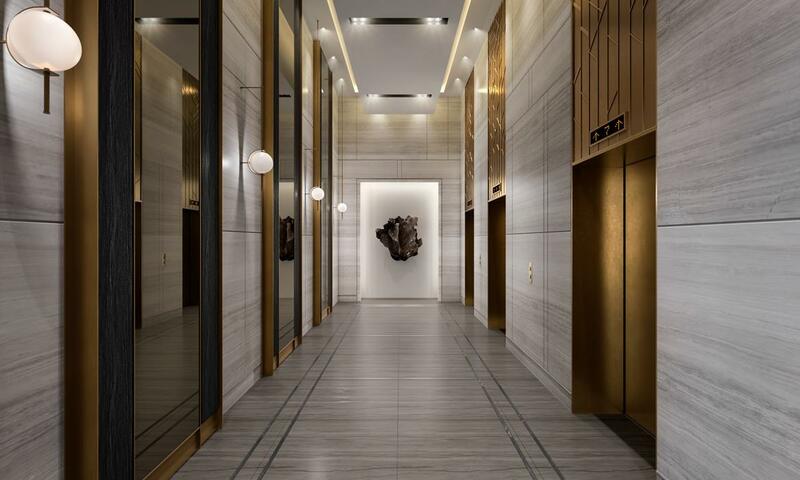 Solid-core suite entry doors give way to soaring ceilings, brushed nickel hardware and contemporary fixtures. 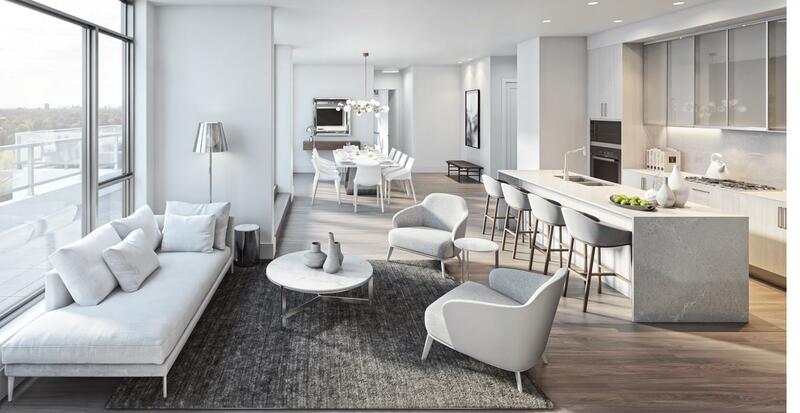 Ceramic and porcelain tiles and engineered flooring await underfoot, as gleaming quartz countertops accenture modern, open concept kitchens. State-of-art wiring, electronic access and surveillance provide a pleasingly comfortable sense of sanctuary. With a 24-hour concierge and 5 star amenities. 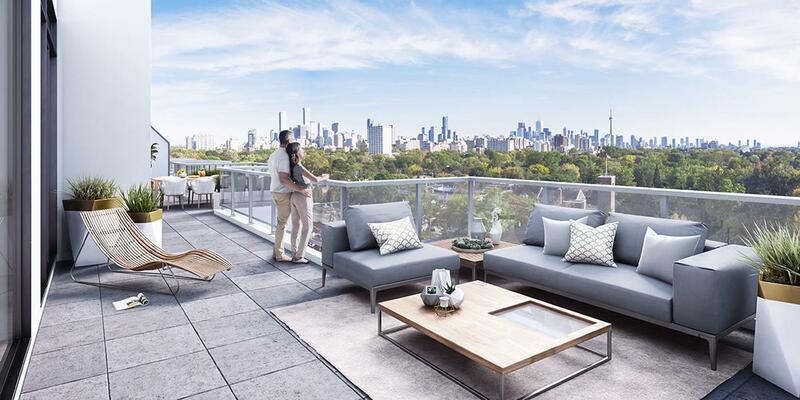 Grand Living, Grand Views, Grand Terraces! 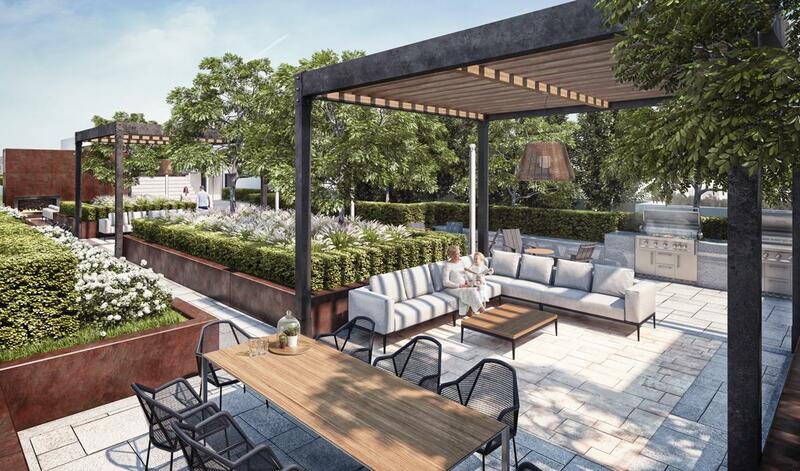 BIANCA brings terrace living to The New Dupont. Your life. Our promise to you is a simple but powerful reflection of our trademark, Built for Life. This means building homes of enduring, lasting value for today’s lifestyles. 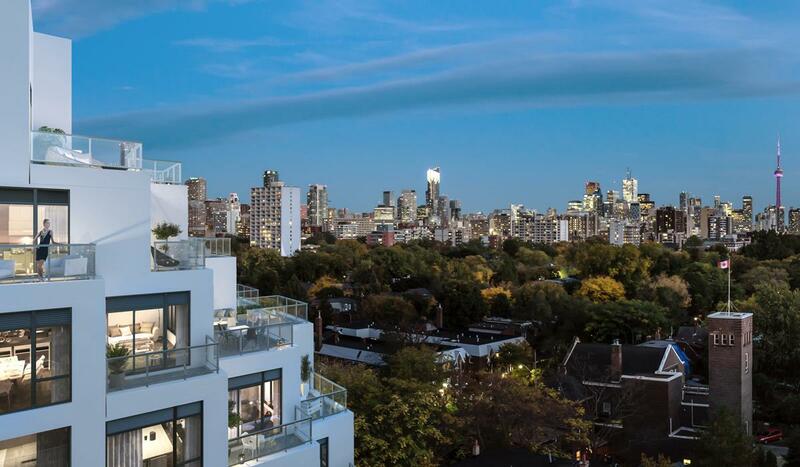 New boutique condominium in the Annex. 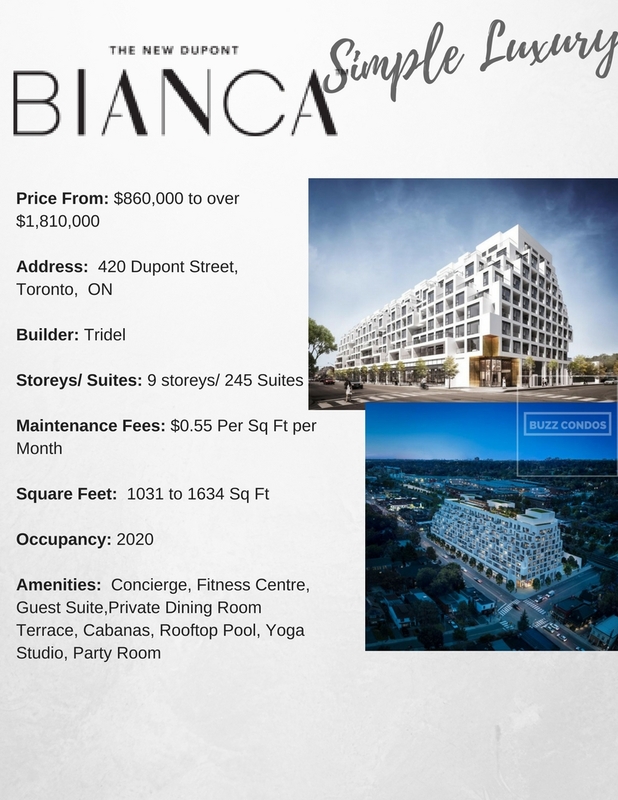 Merging dynamic architecture, stunning terraces and luxury suites within a multifaceted community, Bianca is within walking distance to Dupont Subway – making connected living easy and convenient. Eclectic shopping, entertainment, and dining are all just steps away.